Salar de Uyuni is the world’s largest salt Landscape in Bolivia. The Salar was formed as a result of transformations between several prehistoric lakes. It is covered by a few meters of salt crust. The crust serves as a source of salt and covers a pool of brine which is exceptionally rich in lithium. 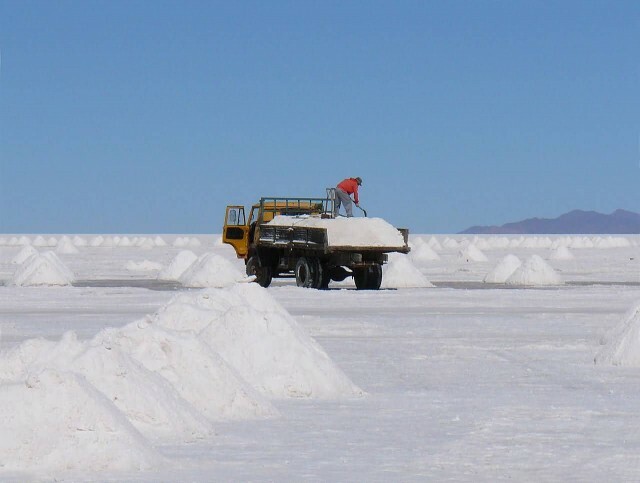 It contains 50 to 70% of the world’s lithium reserves. The large area, clear skies and the exceptional flatness of the surface make the Salar an ideal object. Salar de Uyuni is part of the Altiplano of Bolivia in South America. 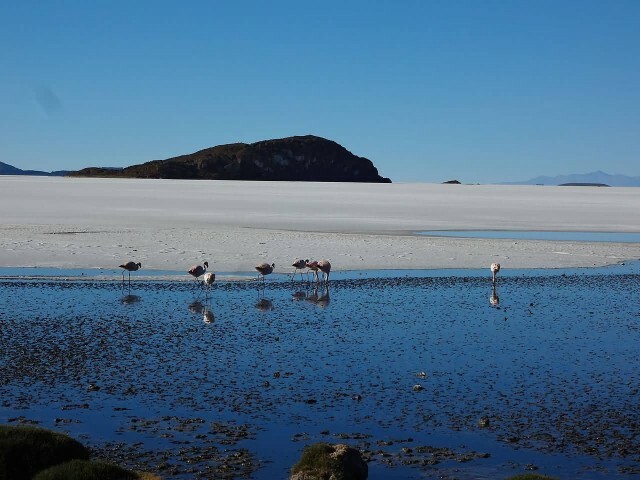 The Altiplano is a high plateau and the plateau includes fresh and saltwater lakes as well as salt flats and is surrounded by mountains with no drainage outlets. Coipasa lake was dried then it left behind two modern lakes, Poopo Lake and Uru Uru Lake and two major salt deserts, Salar de Coipasa and the larger Salar de Uyuni. Salar de Uyuni spreads over 10,582 square kilometers which is roughly 100 times the size of the Bonneville Salt Flats in the United States. The Salar contains large amounts of sodium, potassium, lithium and magnesium as well as borax. Lithium is most important as it is a vital component of many electric batteries. 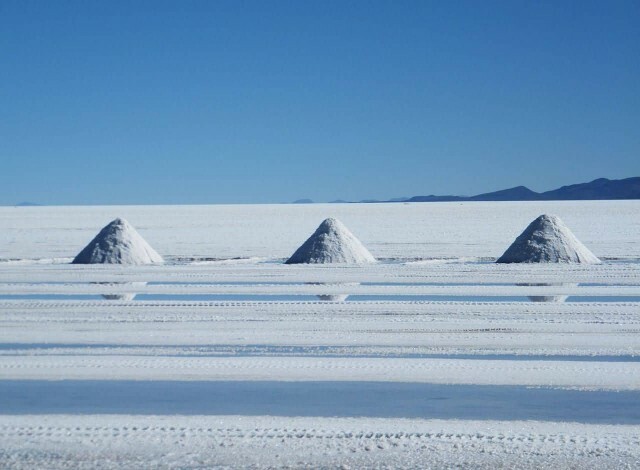 Salar de Uyuni is estimated to contain 10 billion tonnes of salt. 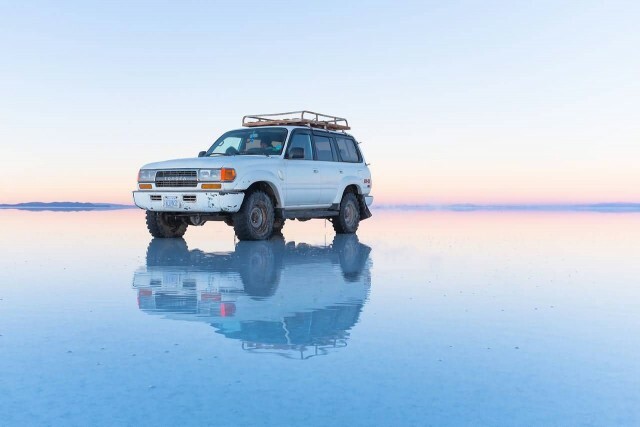 Because of its location, large area and flatness, the Salar is a major car transport route across the Bolivian Altiplano, except when seasonally covered with water.